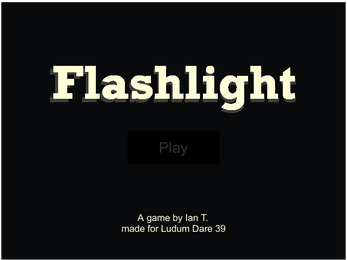 Flashlight is a game created in 48 hours by Ian T for Ludum Dare 39. 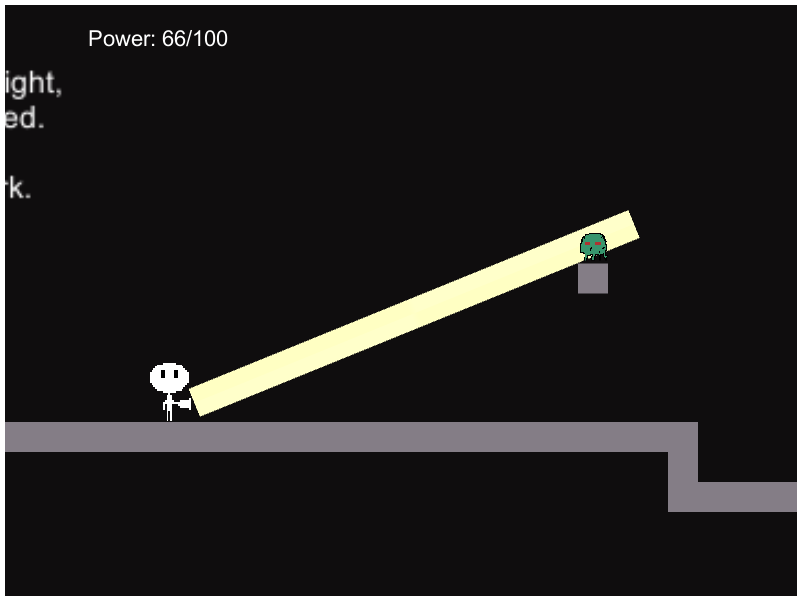 The theme for LD39 was "running out of power". Hold left mouse button to use flashlight. 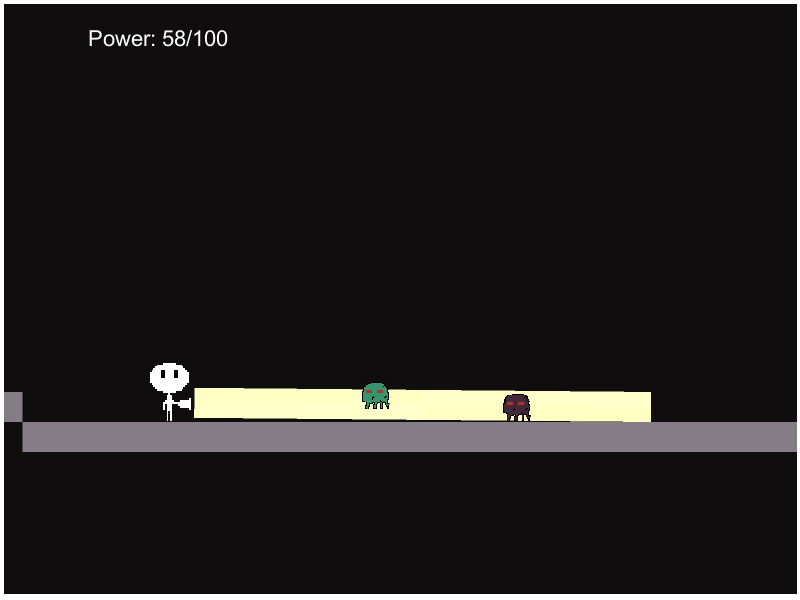 Use the flashlight to see enemies that are hidden in the dark. Make it to the end to win.